When we think of the ministry of Jesus, we immediately recall the “big” moments. His baptism. The Sermon on the Mount. His transfiguration. The miracles He performed. And, of course, His death and resurrection. But Jesus’s ministry was to people. His miracles and messages were for individuals who needed a Savior . . . not a sideshow. If we were to make a list of the people Jesus engaged, we would immediately write the names of His disciples, perhaps the Pharisees, and maybe a few others, like Zaccheus, or Lazarus, or Nicodemus. But what about the women in the life of Christ? How many of their names could we put on our list? Regrettably, they are usually overlooked. When we walk in Jesus’s footsteps, we can’t help but notice the devoted, faith-filled women who followed Him. All were impacted and changed by Him. The centuries between our cultures have softened the scenes for us, but to the people of His day, Jesus’s invitations and responses were nothing less than shocking. To us, the picture of Jesus talking with a woman doesn’t seem so strange. But the culture at the turn of the first century put women just a notch above animals. A woman was considered property—first of her father, then of her husband, and then of her son when she was widowed. Back then, a woman’s opinion didn’t matter. The majority thought she didn’t matter. Truth be told, a woman had little hope of survival apart from a man. Women found themselves near the bottom of the social ladder. They were thought responsible for much of the evil in the world. If a woman spoke in public to a man who was not her husband, it was assumed she was having an illicit relationship with him, making it grounds for divorce . . . or worse. Furthermore, a woman was not allowed to eat in the same room with a gathering of men, to be taught Scripture with men, or to enter the inner court of the temple to worship with men. Each morning, if you can believe it, a Pharisee began his day by thanking God that he had not been born a Gentile, a woman, or a slave. While even respectable men didn’t give women the time of day, Jesus went out of His way to speak with them . . . in broad daylight. It would have been a scandalous topic for the tabloids! He welcomed women to His side. He was supportive, considerate, and caring of women—especially the ones who most needed help. He broke through oppressive, ugly cultural rules and rescued women from painful pasts, demonic control, unfair treatment, and crippling diseases. Jesus also willingly went against the grain of acceptable religious practices. Instead of limiting His teaching to the “men-only” part of the synagogue, Jesus also taught in places where women could have front row seats—on hillsides, in the marketplace, beside a well, and in the women’s area of the temple. He used illustrations women could readily relate to—a lost coin, yeast rising in bread, a persistent knocking on a neighbor’s door at midnight. Not only did Jesus notice women, He called them out of the shadows and into faith. It wasn’t by accident that many of His recorded conversations were with women or that many of His miracles placed women in starring roles. Jesus deliberately chose it to be this way. What’s more, women were among His best students and most dynamic and daring disciples. No wonder women loved His instruction! I think the way women responded to Him made Jesus smile. He saw their faith. And His example of grace, mercy, and compassion was no less than a seismic shift to everyone on the scene! Spiritually speaking, Jesus made no distinction between men and women. He simply related to people on the basis of their faith in God—or lack thereof. You know what I find surprising? The consistency of Scripture’s description of the women who followed Jesus! They were faithful, sacrificial, and serving. Were the women perfect? Of course not. Did they follow Jesus perfectly? No, no one does. But they stood close enough to Jesus to catch the look in His eyes. His grace captured them! Just so they could be part of what Jesus was doing, many women were content with an anonymous role on His ministry team. Serving however it was needed, giving financial support out of their own means, sitting at His feet, worshiping Him, feeding Him and His men, and eventually caring for His broken, crucified body. These were brave women—committed women—who linked their arms with His for the proclamation of something bigger. Something more wonderful than the world had ever known. Women were there at the moment of His arrival, in and out of the towns He visited, at His cross and His tomb, and by His side at amazing ministry moments. Jesus said of one such faithful woman, “Truly I say to you, wherever this gospel is preached in the whole world, what this woman has done will also be spoken of in memory of her” (Matthew 26:13). Like you and me, each woman in the life of Jesus tells a different story of how His life impacted hers. They give us living, breathing examples of the power of God to change lives. Some had to clean up. Some had to step up. He called others to speak up . . . or walk up . . . or simply show up. We see our own journey woven through theirs. The women in the life of Jesus challenge us to look beyond our culture to Christ Himself. 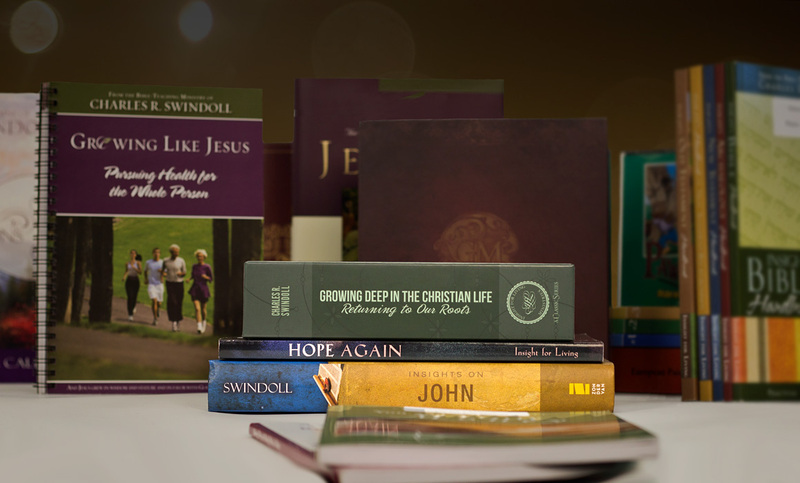 By their examples, they urge us to give ourselves fully to the One who has redeemed us from lives of sin . . . to follow Him with commitment and contentment, even in obscurity, and to reflect the life and love of Jesus to our generation. Article adapted from Women in the Life of Jesus (Plano, Tex. : IFL Publishing House, 2011). 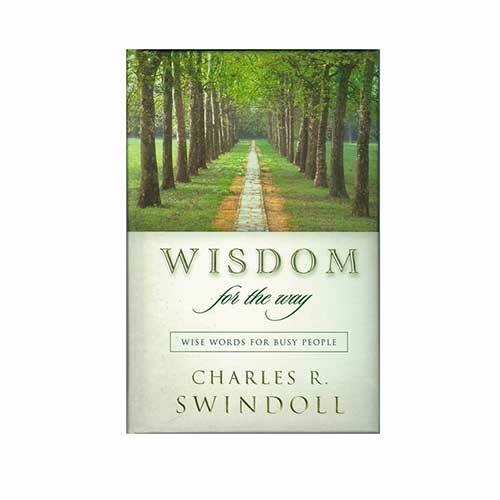 Copyright © 2011 by Charles R. Swindoll, Inc. All rights reserved worldwide. Used by permission.